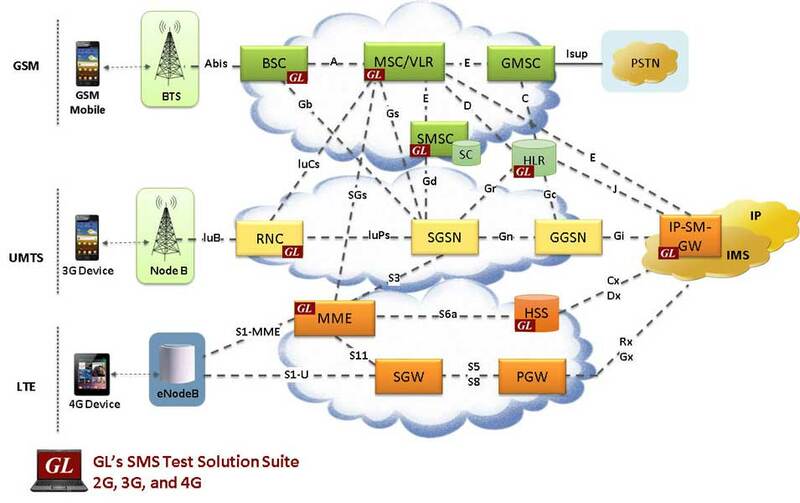 Gaithersburg, Maryland, USA – June 18, 2018- GL Communications Inc. a global leader in telecom test and measurement solutions providing information and insight into our latest Short Message Service (SMS) Test Solutions, which now adds support for testing SMS Services over LTE SG sinterface, and SIP IMS network. In addition, SMS monitoring tools include support for Unicode feature that helps decode SMS in different local languages, while also providing advanced filter and search capabilities to drill-down to specific messages. When testing from within the wireless infrastructure, thousands to millions of messages can be sent to thousands to millions of mobile phones in a simulated environment to load test or verify / validate the SMS messages. Our multi-purpose emulation platform called MAPS™ (Message Automation and Protocol Simulation) has the ability to push / pull Short Messages over the network as if sent by thousands of mobile phones (SMS-MO and SMS-MT). Supported interfaces include - GSM A (TDM/IP), GSM Abis (TDM/IP), MAP (TDM/IP), CAP (TDM/IP), UMTS IuCS-IuH (TDM/IP), LTE S1, LTE SGs, SIP, Diameter, and IMS. GL’s multi-technology protocol analyser probes over IP and TDM offer SMS monitoring and capturing both Mobile Originating (MO) and Mobile Terminating (MT) short messages and further analyze using the advanced features within the analyzers. NetSurveyorWeb™, a web-based client that facilitates display of all captured call data records, flexibility to filter for records of interest, and view call graphs. VQuad™ Probe HD can be used for testing end to end SMS services at end point, independent of underlying network. The probe works in conjunction with a Mobile Device Controller application and “smartphone app” on mobile phones to send or receive SMS messages and record results such as pass or fail. All test results are automatically relayed to a Central Database where they are accessed using WebViewer™ a simple web browser which facilities results/statistics in tabular or graphical formats.